Will Wearables Finally Break Into the Enterprise in 2018? For several years, analysts have been predicting that wearables such as smart glasses, virtual reality and mixed reality headsets and smart watches will make it big in the enterprise. So far that hasn’t happened. But will wearables finally break into the enterprise in 2018? There's evidence that this may be the year they finally hit. The first piece of evidence comes from a recent IDC report, (IDC) Worldwide Quarterly Wearable Device Tracker. It found that sales of wearables for the fourth quarter of 2017 were 37.9 million units, up 7.7 percent from the 35.2 million units shipped in the same quarter a year earlier. For all of 2017, wearable device shipments were 115.4 million units, up 10.3 percent from the 104.6 million units that were shipped in 2016. That growth was actually a slowdown from that seen between 2015 and 2016, in which wearables grew by 27.3 percent. But IDC believes bigger growth is on the horizon. Ramon T. Llamas, research director for IDC's Wearables team, explains, “The slowdown is not due to a lack of interest – far from it. Instead, we saw numerous vendors, relying on older models, exit the market altogether. At the same time, the remaining vendors – including multiple start-ups – have not only replaced them, but with devices, features, and services that have helped make wearables more integral in people's lives. Going forward, the next generation of wearables will make the ones we saw as recently as 2016 look quaint." IN addition, VDC Research, in its report, “The Global Market for Enterprise-Grade Wearables,” finds that the global enterprise market for wearable technology will grow 46.5 percent between 2017 and 2022 year over year. The VDC report notes that wearable growth has been slower than expected in recent years in wearables for the enterprise. It says that some enterprises “remain suspicious about the real value wearable solutions provide relative to their still-significant adoption costs.” However, it also says that there’s been a shift in momentum towards wearables in the enterprise because “wearable solution providers are finding ingenious applications for their technology.” Advances in user interface design and using artificial intelligence and voice input, the report concludes, will also spur adoption. At Alpha Software, we’re believers in wearables. They have proven they can increase productivity, and are an important component of the connected workplace. The report from APX Labs, “What’s Next in Wearable Technology,” says that in order to “truly harness the power of IoT and the connected workplace, businesses need to move beyond analysis and make operational use of this data, in real time, and at the point of actual work.” That needs to be done hands-free the report says, because workers who need the IoT data may be on a manufacturing line, handling shipping in a distribution center or out in the field performing maintenance. As a result, as IoT grows in enterprises, the report says, wearables will grow as well. 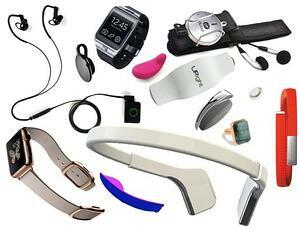 Alpha Software’s Alpha WatchBench can help developers who are targeting the wearables market. It’s an iOS app for prototyping and testing custom Apple Watch applications. Read this case study about how one developer used Alpha WatchBench to built an Apple Watch app which evaluates speed skaters’ performances.